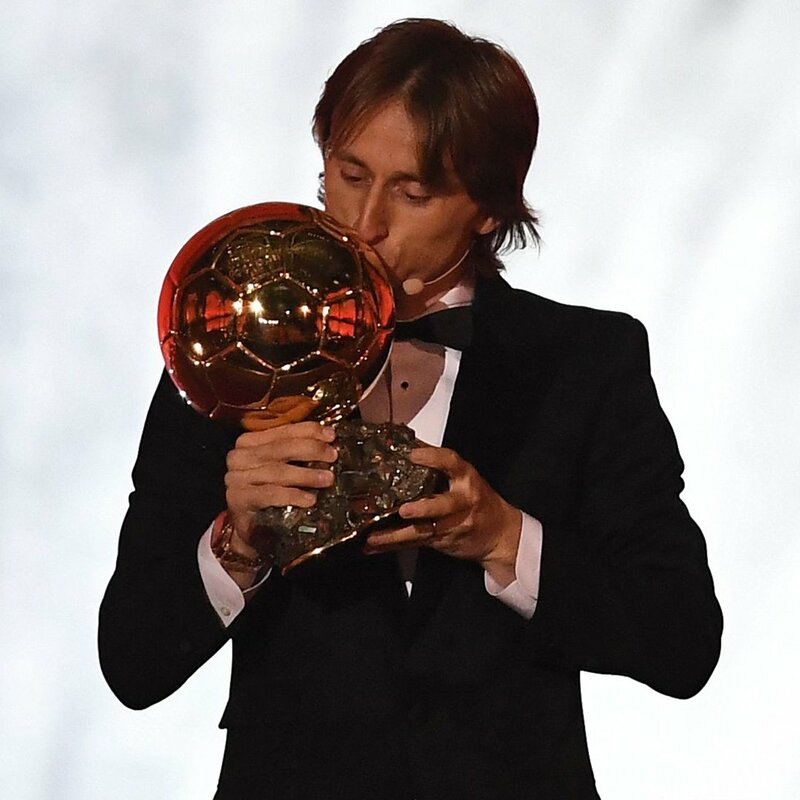 Lula Modric has been named as this year’s winner of the coveted Ballon d’Or trophy – and says it’s all down to Harry Redknapp. The Real Madrid superstar finished above usual suspects Cristiano Ronaldo and Lionel Messi, ending their ten-year stranglehold on the award. Juventus star Ronaldo came second after winning the previous two years. While France and Atletico Madrid ace Antoine Griezmann ended up third, with Messi finishing fifth behind PSG’s Kylian Mbappe, who won the inaugural Kopa Trophy for youngsters. But there was just one person Modric wanted to thank for the achievement, telling the audience: “It’s an unbelievable feeling. It’s a big pleasure to be here among all these players. “I am still trying to realise that I have become part of a group of exceptional players to win the Ballon d’Or throughout history. “The change of position helped me a lot in my career. I used to play more offensively. Modric had an incredible 2018, leading Real to their third consecutive Champions League trophy under Zinedine Zidane. Things then got even better as he captained Croatia to their first-ever World Cup final during the summer tournament in Russia.